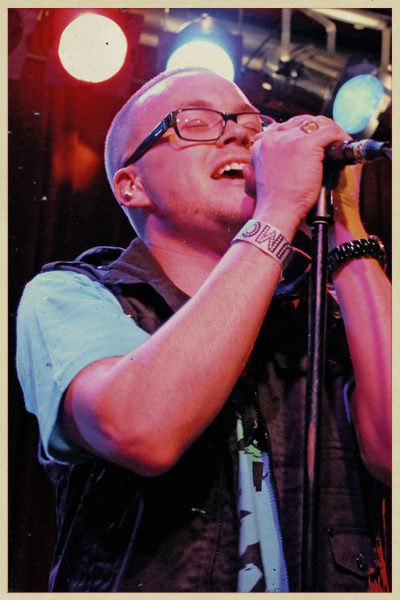 REAL Hip Hop is alive and well in the Pacific Northwest. This past Sunday the 7-man crew known as Theoretics unleashed a fury of rapid fire energy on a packed house of fans at Neumos in Seattle Washington USA. 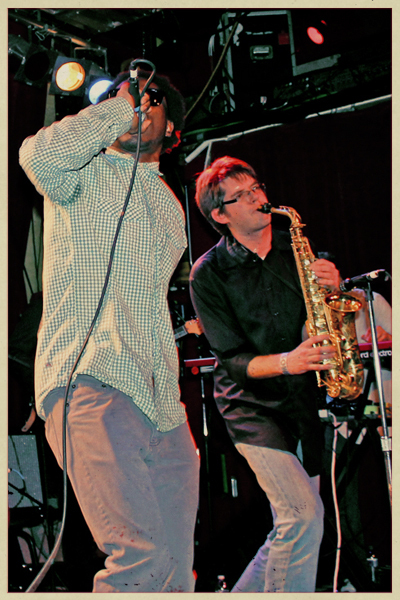 For those of you not in the know, Theoretics are an untouchable hip hop BAND, fronted by two dominate Seattle MC's. 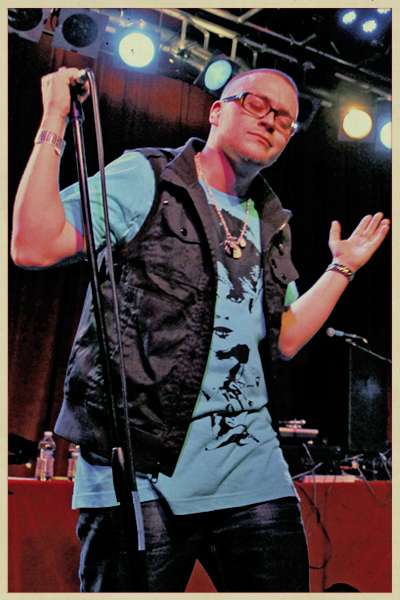 Pictured above, Mark Hoy one half of the duo, lit up the stage that night, with joyous positive showmanship. But that is nothing new to us. 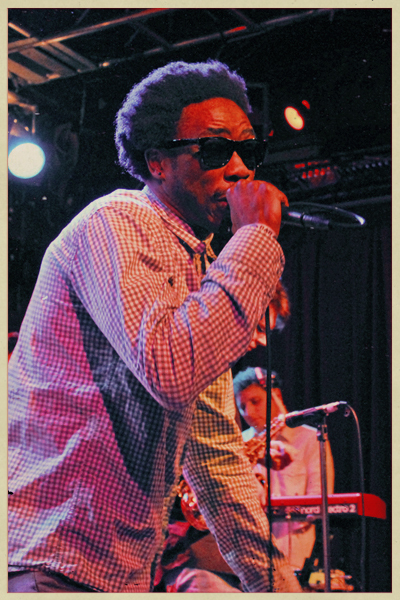 FYM has been following Theoretics ever since we caught their opening live show for hip hop legend K-OS in May of 2011 at the Crocodile in Seattle. We were instantly hooked (truly). After seeing them in a live setting, FYM immediately picked up their self-titled debut full-length. This past November 2012, Theoretics released a stunning follow-up EP titled Plenty Of Anything. Sunday night the the group was in high spirits. They certainly know how to put on an entertaining performance, the crowd was beyond stoked to rock with this intoxicating live band. Chimaroke Abuachi is the other half of the Theoretics dual MC hip hop siege. Hoy and Abuachi share an unparalleled connection in their sonic delivery. Both combined, encompass verse-trading unity, unlike anything we have ever seen before. 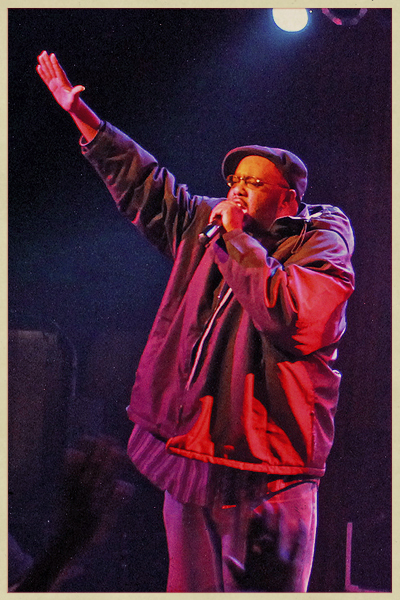 Up next, Sacto CA lyrical legend Gift of Gab (performing under the moniker Blackalicious) took stage with Lateef the Truthspeaker. Gift of Gab kicked off the set with his signature track, still standing tall and as relevant since 1999, Alphabet Aerobics. 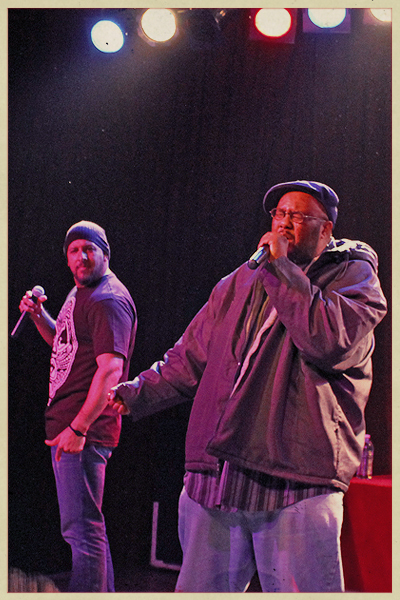 Seeing Blackalicious and Theoretics perform back to back was a rare reminder of how REAL hip hop should be. It was down and dirty vintage passion, with crowd heads bobbing, hands rocking in unison. 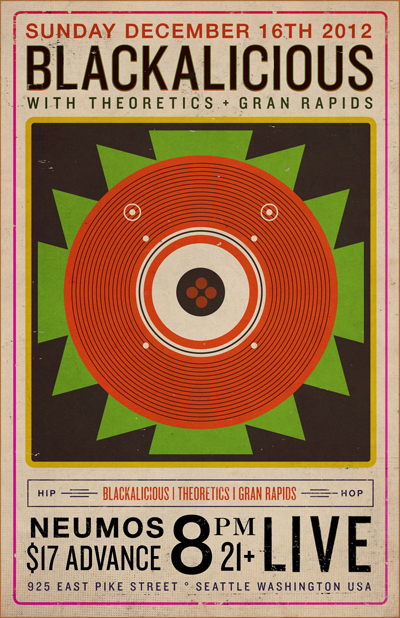 As recently reported by Theoretics on Facebook, things went so well you will be able to catch them again Friday February 8, 2013 at the Nectar Lounge. Thanks again for the incredible evening. Cheers, FYM.